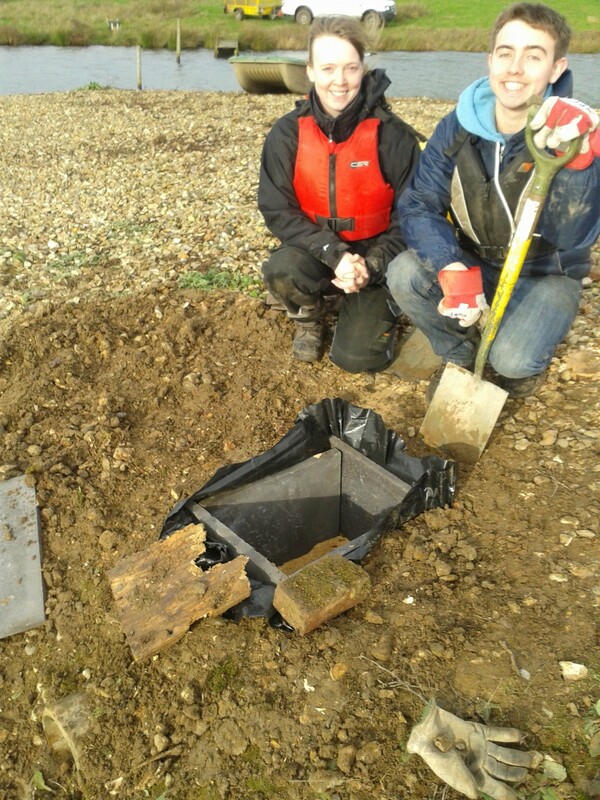 Today Jenny and our Trainee Mark joined us up at Moor Green Lakes to repair a shelduck box on Plover Island. Earlier this year we were very pleased to discover shelducks had nested in the box. A couple of months ago the original buried wooden nest box collapsed, so today we replaced it with a new one made of patio slabs connected to the entrance tunnel. 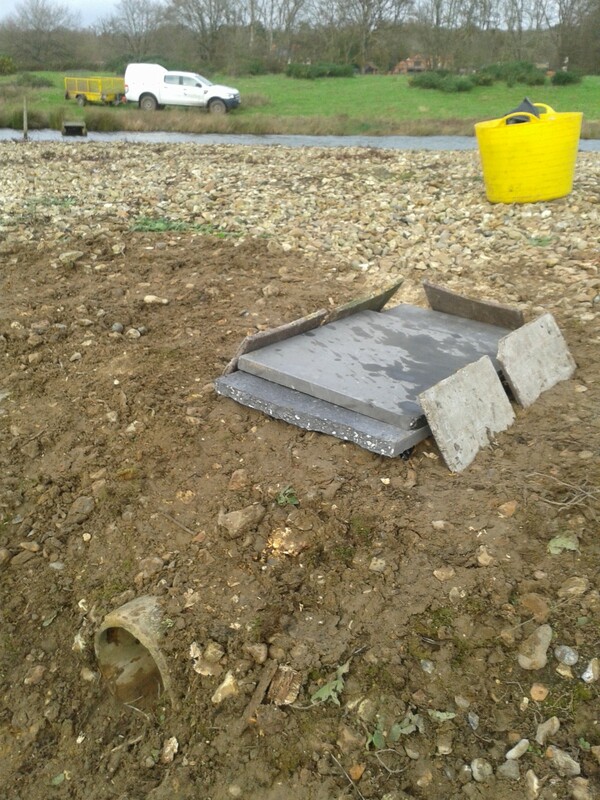 There is a gravel and saw dust floor to encourage nesting, with an surrounding plastic membrane to keep them snug. This entry was posted in Conservation, Moor Green Lakes, Volunteers and tagged Moor Green Lakes, Volunteers, wildlife. Bookmark the permalink.